Burning Ambulance’s week-long countdown of the best metal releases of the year concludes with the top five. Let’s go! GridLink‘s first two albums, 2008’s Amber Gray and 2011’s Orphan, packed 11 and 12 songs respectively into roughly as many minutes. This one offers 14 tracks, and is nearly as long as both previous discs put together. As always, the music is mostly blindingly intense grindcore. Former Discordance Axis frontman Jon Chang’s vocals are a full-strength, high-pitched shriek; behind him, guitarists Takafumi Matsubara and Steve Procopio (ex-DA, ex-Human Remains), bassist Teddy Patterson III (ex-Burnt By The Sun, ex-Human Remains, and also a member of Chang and Matsubara’s other band, Hayaino Daisuki) and drummer Bryan Fajardo (Kill The Client, Noisear, Phobia) create a storm of sound that’s as fast as any band on Earth, but still manages to feature shockingly melodic and even catchy thrash-derived riffing. Longhena even includes (synth) strings and quite beautiful clean guitar on the instrumental “Thirst Watcher,” and at other moments the music attains a stripped-down prog complexity recalling King Crimson circa 1972-74. They’re all done now, and/but this is a hell of a farewell. 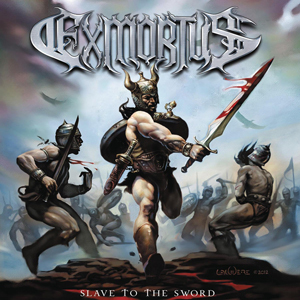 Exmortus are one of the most exhilarating bands around right now. Their fast, complex riffs and bass-heavy sound invite comparisons to Testament, but there’s a ton of neoclassical shredding going on, too, which puts them closer to the European power metal scene. (This can be heard not only on songs like “Immortality Made Flesh,” but most explicitly on their hilariously awesome interpretation of the third movement of Beethoven’s “Moonlight Sonata.”) The fact that all their songs are about vanquishing enemies in battle is another power metal thing—not since Manowar has a band used the word “steel” this many times on an album. Vocalist Jadran “Conan” Gonzalez, though, has a guttural roar that puts them in line with modern post-thrash acts like Skeletonwitch. So they’re hard to pigeonhole…which only makes Slave to the Sword that much more fun. It’s a pure screaming ball of headbanging, air-guitaring pleasure, maybe the most fun album of 2014. 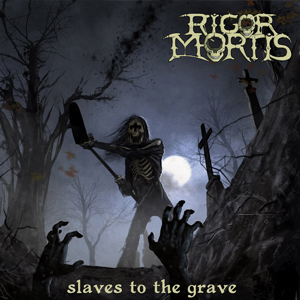 Rigor Mortis were one of the best 80s thrash bands, but never managed to break out of the pack. Their secret weapon was guitarist Mike Scaccia, one of the fastest players around; his riffs were almost inhuman in their precision and ferocity. After three releases—1988’s self-titled debut, 1989’s Freaks EP, and 1991’s Rigor Mortis vs. the Earth, each on a different label—Scaccia was poached by Al Jourgensen of Ministry, with whom he’d work from 1992 until his death in 2012. But in his last years, he also reunited with Rigor Mortis to work on this record, finishing all the guitars just before dying suddenly of a heart attack onstage. The remaining three members finished the album and released it themselves, and it’s a fitting tribute to his talent. Every song blazes, the recording is crisp and powerful; three decades after their formation, Rigor Mortis finally made their masterpiece. This Arizona-based death metal band started out as a deathcore act, and a certain sector of the metal world will never let them forget it. But on this, their fourth full-length, they’ve made a surprising transition to full-on progressive death metal, in the vein of Decrepit Birth, Obscura and Atheist. Guitarist Tony Sannicandro unleashes some breathtakingly shredtastic outbursts that recall Chris Poland’s tenure in Megadeth. The riffs manage to be both doomy and melodic, while session drummer Danny Walker (of Intronaut) is a jackhammering powerhouse. But it’s bassist Nick Schendzielos who’s the album’s true center. His almost jazzy sound is placed high in the mix, harmonizing with the guitars rather than merely padding the low end. The songs have an epic sweep and power; Jonny Davy’s harsh vocals keep things grounded, but there are moments that even recall Opeth’s heavier work. 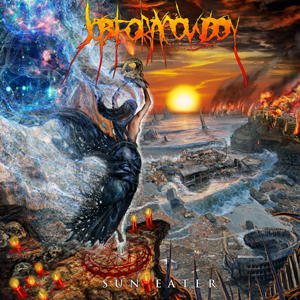 Sun Eater is a breakthrough for Job For a Cowboy; another breakthrough would be if old-school metal fans would acknowledge just how good this band is. This album was an ominous prospect when it was announced. The previous Judas Priest studio disc was the bloated, half-baked Nostradamus, and in the interim they’d lost K.K. Downing, one-half of their legendary dual lead guitar team—and his replacement, Richie Faulkner, was literally half the age of some of his bandmates. But guess what? It turns out that 40 years into their career as a band, the members of Judas Priest know their strengths and can play to them. Redeemer of Souls packs 13 songs onto its main disc, each one a near-perfect evocation of their classic sound (think Screaming for Vengeance, Defenders of the Faith and Painkiller). Sure, there’s a skippable ballad or two, but there always are—what matters is whether the anthems have the fist-pumping, headbanging power of old, and they absolutely do. And the deluxe edition adds five more songs, any one of which could have fit anywhere on the album proper. 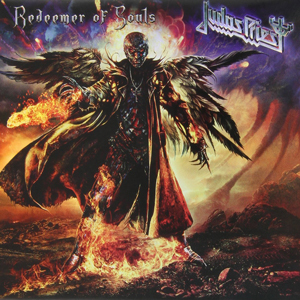 If you have ever been a Judas Priest fan, Redeemer of Souls will bring you back into the fold.